For a fourth time within their lifetime. Effectively, this would have meant that a DUI conviction for a third or fourth offense could have resulted in up to 6 years in prison (along with other court-ordered penalties, such as expensive fines, alcohol education courses, community service, etc.). The Colorado felony DUI bill that proposed Class 4 felony penalties for those with three or more DUI convictions has recently failed in the Senate. Although many legislators had expressed their support of instituting felony charges for people with multiple DUI convictions, the high costs of enforcement were one of the primary factors that led some to vote this measure down. In fact, while the initial costs of enforcement associated with this bill were originally $3.4 million in the first year alone, even after the Senate judiciary committee made some amendments to the bill, the costs for enforcement in 2015 would still have reportedly been $1.6 million. By 2017, the projected costs of this bill would have exponentially increased, soaring to an estimated $11.6 million. Given how controversial and publicized this bill has been, it’s likely that another version will come before the Colorado legislature in the near future. If you or your loved one has been charged with DUI or with any crime, Christopher Griffin wants you to know that he is ready to immediately start providing you with the strongest possible defense against police and prosecutors – both outside and inside of the courtroom. 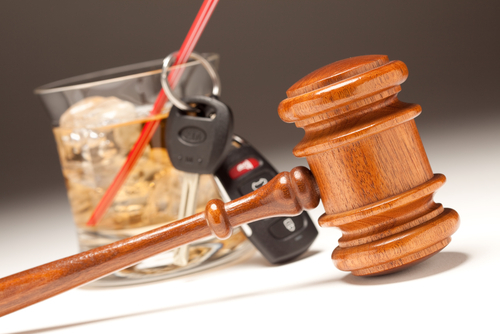 Regardless of whether you are facing DUI charges for the first time or you have prior convictions, Christopher Griffin and all of the legal professionals at the Griffin Law Firm will work tirelessly to help you secure the best possible resolution to your case. In fact, our steadfast dedication to the notion that the accused are innocent until proven guilty means that we will do everything in our power to help you resolve your case in the most favorable and efficient manner possible.